For this Lubbock florist, it is the experience in the flower business that triumph all. The fact that their store has been open for almost 7 decades tells the whole story. In that time, they have amassed an unrivaled wealth of experience which has been fine-tuned and passed from one generation to another. 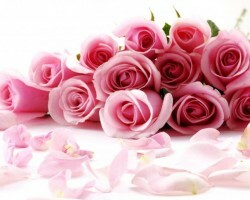 Their selection of wedding flowers and bridal bouquets is rich, impressive and will surely embellish your day. To cap it all, they highly regard their customers and are willing go that extra mile to give you a memorable floral experience. The success of Flowers by Jerry is anchored on three pillars: friendly and experienced staff, great prices, and their desire to supply their clients with the best available flowers that they would gladly receive themselves. They have a team of skilled flower designers who will craft splendid bouquets that will certainly astound you and your guests. They offer a 100% customer satisfaction guarantee which is enough testament to their high-quality service. What sets Abel’ shop apart from other flower shops is their uncanny floral creativity which they intricately mesh with their steadfast commitment to quality service. Though based in the Abernathy area, they serve the entire county which puts them up there among the best florists in Lubbock, TX. They have the finest assortment of flowers which they avail to their customers in the most efficient and friendly manner in a bid to foster long-lasting relationships with them. 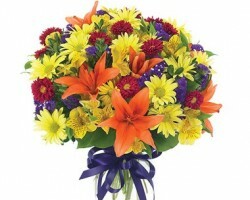 They have specific bouquets packages for wedding ceremonies, wedding parties and wedding receptions. You simply cannot go wrong with them. If you are looking for a Lubbock florist who guarantees customer satisfaction, you won’t get any better than Abernathy Floral Market. They are strategically located to serve Lubbock, Abernathy, Hale Center and several other destinations in Texas region. 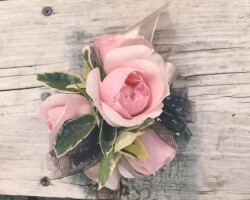 They fully appreciate the value of customers to the fortune of their business and this is showcased by their promptness and dedication to offering the finest floral corsages. 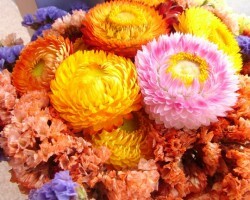 Their wedding floral packages are diverse and include bridal bouquets, ceremony arrangements, centerpieces and much more. Flores flower is one of the latest flower shops in town and they have already captured the imagination of locals with their quintessential arrays of roses available for any function. 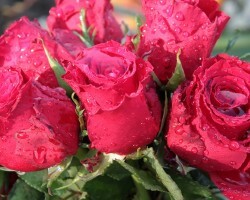 At Flores Flowers, customers are afforded the chance to choose their favorite rose colors and arrangements just the way they imagined it. You might argue with their prices which, by and large, are very affordable but there is absolutely no debate about their delivery services. They deliver on the very same day you place your order and at just $7, they offer the cheapest rate for flowers delivery in Lubbock and bordering areas. They offer free confirmation of delivery and at $10, their delivery services are some of the cheapest in Lubbock. Place your order a day before the due date and they will deliver on time.